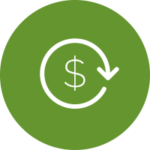 Increasing client billings by 20%-30% per client when using SharpSpring to optimize regional campaigns. Increased client billings by 20-30%. 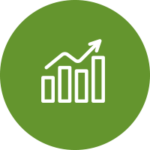 After implementing SharpSpring for its clients, GetIT Comms experienced an average increase in per-client revenue of 20-30% from each client using the platform. to get more repeat projects as a result. Once the agency had built out successful campaigns for a few clients, it was able to transform those successes into case studies and portfolios, which helped it easily win over new clients. GetIT Comms, a B2B communications agency. Providing Asia-Pacific regional marketing services to mid-to-large-sized global tech companies. Although many of its clients were using marketing automation solutions like Eloqua and Marketo for their global campaigns, most were not willing to pay for expensive additional licenses to run regional campaigns. Without a platform, it was not possible to implement automated campaigns and track leads on the regional level. Find a competitively priced, user-friendly marketing automation platform to offer its clients as an affordable alternative to paying for additional accounts on other platforms. GetIT Comms is a fast-growing B2B communications agency with locations in Singapore and India. It operates in 19 countries, providing regional services to some of the world’s leading technology organizations, including Cisco, Dimension Data, StarHub, Dell and LogMeIn. Since 1997, GetIT Comms has offered strategic consulting, lead generation and content marketing for clients, helping them create planned and focused marketing campaigns to gain traction among existing and prospective customers. GetIT Comms specializes in helping its clients run local marketing campaigns in the Asia-Pacific region. The agency develops content customized to fit local market standards and then helps distribute that content and measure the results. The main challenge clients were facing was that while their regional marketing managers had all the necessary pieces of content for running effective local campaigns, they did not have access to the same marketing automation tools that were being used to run campaigns at the global level. As a result, processes that could otherwise be automated, like implementing workflows and tracking leads, required more time and resources, and it was difficult to measure their effectiveness. GetIT Comms knew that its clients – most of whom were already investing a lot in marketing automation solutions for their global campaigns – wouldn’t be willing to pay for additional expensive accounts dedicated to running regional campaigns. The agency needed to find a marketing automation platform that worked just as well as the pricier, competing solutions but was also affordable, and it found that SharpSpring met both of those requirements. At approximately a tenth the price of competing solutions, SharpSpring’s affordability made it a relatively easy pitch, and GetIT Comms quickly got several of its biggest clients up and running on the platform. One of the immediate benefits of using SharpSpring was that it provided the agency with a single, centralized “content hub” for each of its clients. Before adopting SharpSpring, GetIT Comms was struggling to organize and track the emails, newsletters and other content it was creating for its clients’ regional marketing campaigns, and clients were having trouble getting optimal value out of that content. SharpSpring provides GetIT Comms with a centralized, easily accessible location to manage and track the content it creates, giving the agency more control over how its clients use that content in their marketing campaigns. Additionally, the software tracks and measures the performance of every single piece of content – from email newsletters and case studies to blog and social media posts – giving GetIT Comms a much clearer and more holistic view of how its clients’ marketing dollars are at work. 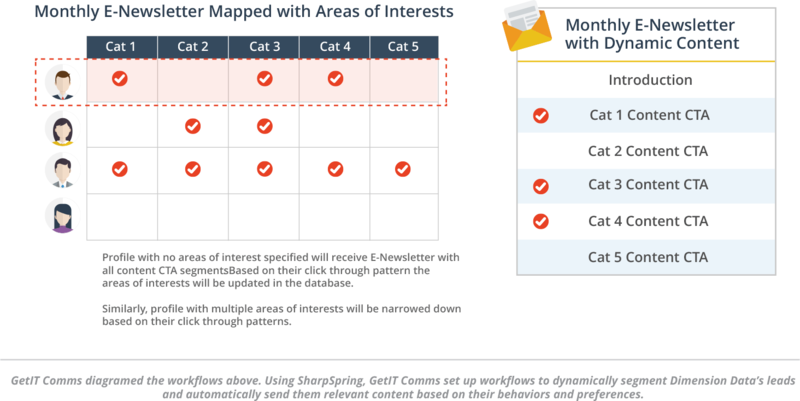 On the client side, SharpSpring allows regional marketing managers to get more out of their campaigns by giving them the tools to create workflows, manage and segment lists, nurture leads, and much more. GetIT Comms and its clients find SharpSpring to be a highly effective tool for collaboration within and among teams, as it offers unprecedented visibility into lead activity. The agency and its clients find SharpSpring’s “Life of the Lead” feature to be particularly valuable, offering insights on how leads are interacting with their brands and ways in which they can tailor their content to be more personalized and relevant. 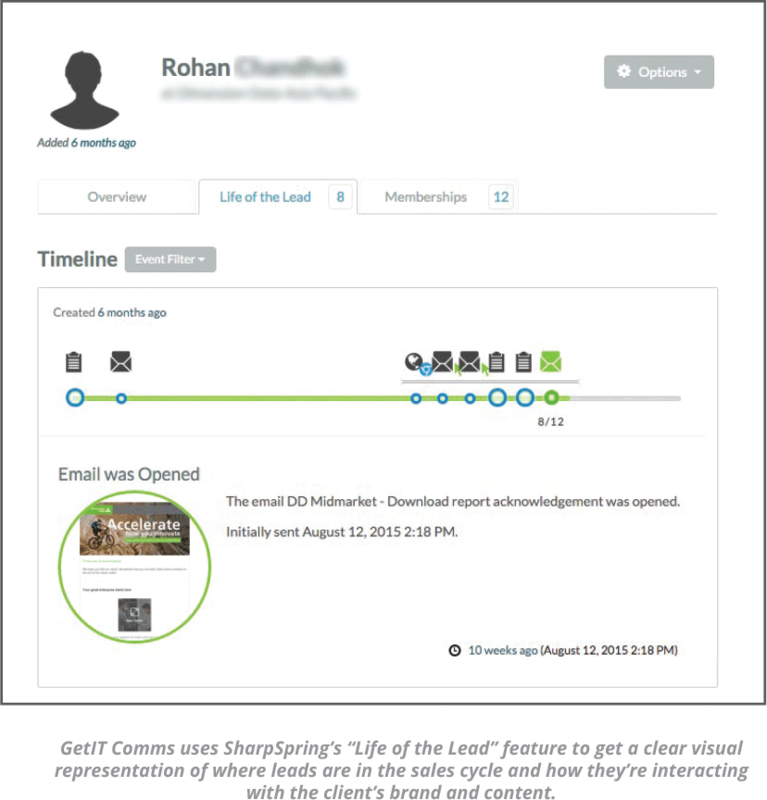 GetIT Comms also uses SharpSpring’s lead scoring feature to provide its clients with a complete picture of all lead interactions, both online and offline. For example, if one of its clients hosts a breakfast seminar, GetIT Comms can create a binary custom variable to represent whether a lead attended or not, as well as attribute a particular numeric score to that variable. As soon as the attendee list is uploaded into the client’s database in SharpSpring, the lead scores of all list members automatically increase to reflect their attendance. This provides the client with a truly comprehensive view of how engaged its leads are. GetIT Comms has implemented SharpSpring for a number of its clients, all of whom saw positive results. One such success story is that of Dimension Data, a leading global Information and Communications Technology provider with a strong presence in the Asia-Pacific region. Beginning in 2014, Dimension Data embarked on an intensive content marketing program where it syndicated different forms of content (eBooks, thought leadership articles, informational videos, etc.) across a wide variety of prospects and audiences. In addition to helping Dimension Data create the actual content, GetIT Comms used SharpSpring to help the company measure content performance and track the lead lifecycle. Armed with powerful new data and insights, Dimension Data was able to segment its prospects into even more specific categories based on their interests and behaviors. GetIT Comms then worked with the company to develop dynamic content tailored to each of those categories, and it set up workflows to automatically nurture leads with that pre-written content. Soon after adopting SharpSpring, GetIT Comms began to see positive results. The agency was able to increase its client billings by 20-30% for each client using the platform. SharpSpring also helped GetIT Comms manage its clients’ content hubs and integrate itself more closely with their marketing processes, which made it easier to retain clients in the longer term. Finally, just as it became easier for GetIT Comms to sell an existing client on the next project, it also became easier to win over new clients. By pulling workflows and performance stats from its most successful campaigns, the agency was able to create case studies and portfolios to show prospective clients what it could do to improve their marketing campaigns. GetIT Comms provides marketing solutions to businesses in over 19 countries and 29 cities around the world. The agency is dedicated to helping its clients see their marketing projects and campaigns all the way through – from conception and planning to execution and deployment. 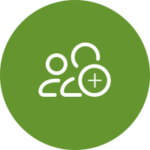 GetIT Comms is focused on initiatives such as demand generation, lead nurturing, customer retention and engaging prospects.